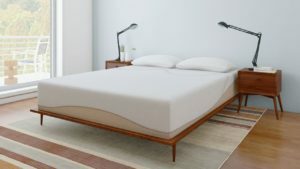 Amerisleep is among the industry’s many direct-to-consumer mattress companies and offers five memory foam mattress models from medium- soft to medium-firm. 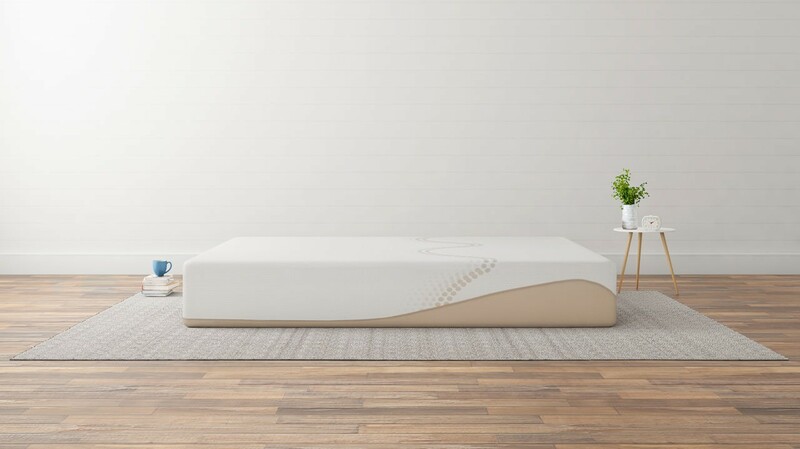 These mattresses are constructed with proprietary manufacturing methods and eco-friendly foams that are plant-based, minimizing the amount of petroleum and chemicals used. The Amerisleep AS3, formerly known as the Amerisleep Liberty, is a mattress of medium firmness. The foam is designed to offer pressure relief, while responding effectively to body position changes and movement, and foundational support that allows for natural spine and body alignment. Motion isolation: This mattress model performs well in absorbing movement to prevent the transfer of motion to other parts of the mattress. This feature is desirable for sleepers who sleep with a partner and change positions frequently. Temperature: Amerisleep’s materials are designed to be breathable. The cover of these mattresses is made from a blend of materials including spandex, polyester, and Celliant. 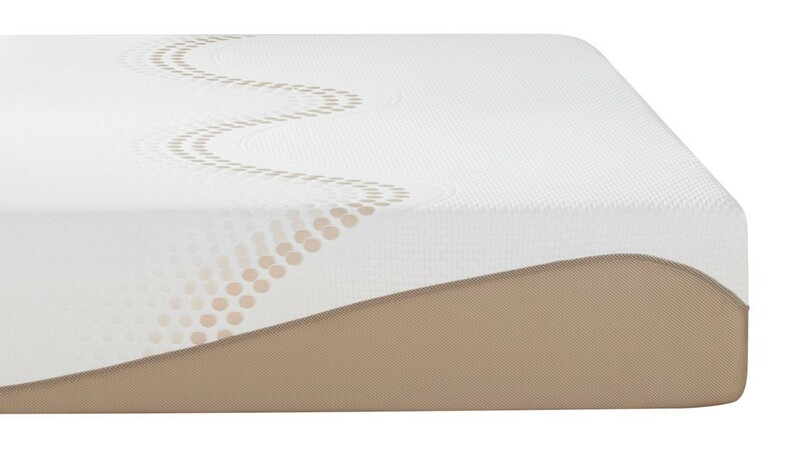 This is a unique blend for a mattress cover, and the Celliant used makes this cover unique to Amerisleep mattresses. The foam comfort and support layers are breathable, and are designed with open- and large-cell structure that makes airflow possible. The cooling property is a benefit for stomach sleepers, who sleep with the entire body on the surface of the mattress. 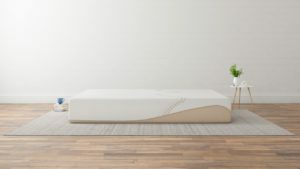 Comfort and pressure relief: The Amerisleep AS3 model offers a moderate contouring hug and pressure relief, without allowing sleepers to sink down too far into the mattress. Trial and warranty: Amerisleep offers free shipping and a 100-night sleep trial. The sleep trial is above average for the industry. A 20-year warranty is also available, which is better-than-average for mattress companies, especially for memory foam mattresses. Edge support: When weight and pressure is applied, the outside edges of the mattress sink down significantly farther than the center of the mattress. The center core of the mattress offers the most support. Price and value: Amerisleep AS3 mattresses are more expensive than some competitors that use higher quality or similar quality components. Buy your Amerisleep AS3 mattress from Amazon. Manufactured in Scottsdale, Arizona, Amerisleep was founded with the goal of taking the “middleman” out of the mattress buying experience. The company sells directly to consumers from its showroom in Scottsdale and through its website. Its products also are available on Amazon.com. To make its proprietary foam, the company uses an eco-friendly manufacturing method that follows guidelines and standards from the Clean Air Act. The process is called Variable Pressure Foaming (VPF), which is a manufacturing process that is done inside a chamber with filters that remove pollutants and chemicals from entering the air. Amerisleep reports that all waste from the VPF method is recycled internally. Amerisleep earned an A+ through the Better Business Bureau (BBB). More information about BBB and its mission is available online. Amerisleep reports that it has more than 4,000 five-star reviews and that 98 percent of its customers would recommend Amerisleep to friends. The company uses a third-party review model (PowerReviews) to generate customer comments on its website. 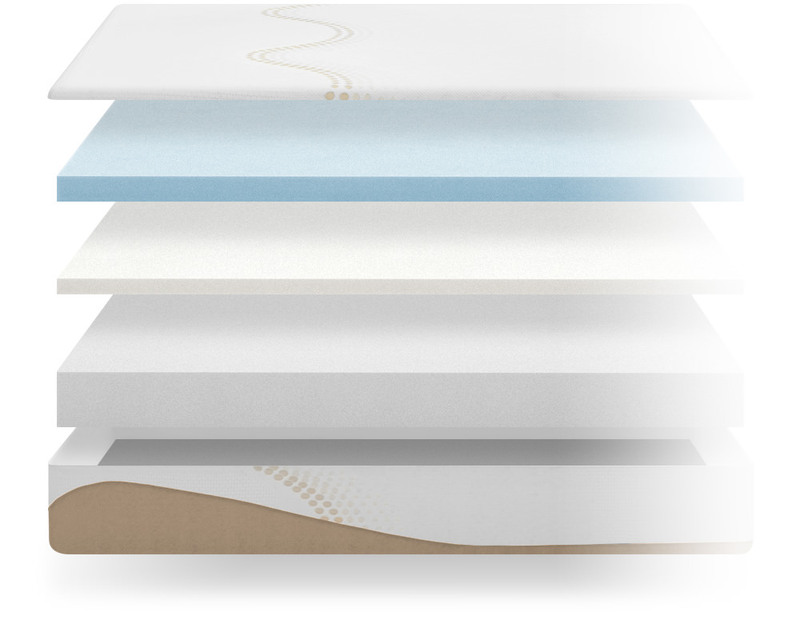 The Amerisleep AS3 model (previously called the Liberty) is a 12-inch memory foam mattress with three different layers of foam. Its models are available in sizes from Twin to California or Split King. The AS3 model’s layers are made from proprietary foam that is plant-based, and provide both support and comfort through pressure relief and body contouring. The AS3 mattress is medium in firmness, which is recommended for all sleeping positions: side sleeping, stomach sleeping, and back sleeping. Comfort: The top comfort foam layer is a 3-inch layer of open-cell Bio-Pur foam that is designed to be breathable and has cooling technology to wick away heat and moisture. It is designed to be responsive to each sleeper and relieve pressure points while conforming to the curves of the body. It also offers some support when paired with the other layers to allow heavier parts of the body to be held up to promote natural spinal alignment. Support: The support core includes a 2-inch foam layer and a 7-inch foundation support layer. The 2-inch layer is a transition layer that evenly supports weight across the mattress and relieves pressure. The 7-inch Bio-Core layer is a dense support foam layer that offers a firm foundation for the mattress. Cover: A cover that makes up the top layer of the mattress is made of a several materials including Celliant, a plant-blend material used to make the fabric cover more breathable. The use of Celliant is unique to mattress covers, and is blended with polyester and spandex. The AS3 model’s mattress cover can also be unzipped for easy spot cleaning. The AS3 model is adaptable with several different bases. It can be placed directly on the floor, and in combination with a box spring, flat foundations, or slatted frames, and adjustable bases. The mattresses are manufactured in the U.S. with a patented method, and with eco-friendly practices. Purchase the Amerisleep AS3 from Amazon. Amerisleep offers a 100-night sleep trial. If consumers are not satisfied, the company will issue a full refund and arrange for the mattress to be picked up. They require that customers use the mattress for at least 30 days and up to 100 nights before requesting a return and refund. Mattresses that are returned are recycled or donated to charities. Standard shipping is free for Amerisleep mattresses within the United States. Mattresses ship within 3-5 business days via Fedex, and are delivered curbside or closest to the front door. For shipping to Alaska and Hawaii, or countries including Canada or Mexico, there may be shipping costs associated with purchase. The company may offer expedited shipping, but requests that customers call customer service to discuss options and does not indicate pricing on their website. Mattresses are compressed, vacuum-packed, and packaged in a small box. Once unboxed, the mattress takes between 4 to 6 hours to expand. Mattresses are fully expanded within 24 hours of installation. Amerisleep offers a 20-year warranty, which is above average for the industry. The warranty includes a 10-year unlimited warranty for the first 10 years which covers any issues during that time period. After the second set of 10 years, the mattress is covered under a 10-year pro-rated warranty. The warranty starts after the 100-night sleep trial ends. 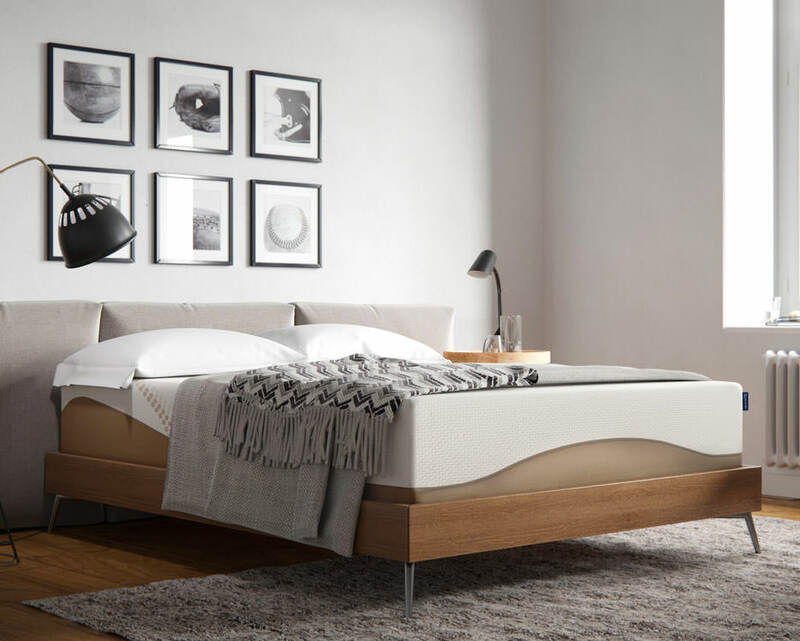 The Amerisleep AS3 model performs similar to the AS2 model and well in isolating movement without transferring motion to other parts of the mattress. If a sleeper moves or gets out of bed, his or her sleeping partner will feel minimal to no movement. The foam layers work together to absorb movement and allow for body weight dispersion with a faster-than-average response time for foam mattresses. If a sleeper sits on the edge of the Amerisleep AS3 model, the mattress performs fair to good in holding up weight along the edge. The 12-inch thickness of the mattress and the durable foams used does offer some edge support. However, when weight is applied to the very edge of the mattress it becomes weak and sinks further down than any other place on the surface of the mattress. These mattresses offer the best support in the core and center of the mattress. Similar to the AS2 model, the average lifespan of the AS3 mattress is reportedly between 10 to 12 years, which is above average compared to some other memory foam mattress competitors. On a scale of 1 to 10, with 10 being the firmest, the AS3 model scores a 5 on the firmness scale. This mattress is medium in firmness. The medium firmness of this mattress is recommended for several different sleeping positions that require a firm support and a moderate amount of pressure relief without sinking into the mattress too far. The AS3 model does not come in any other firmness levels. Each Amerisleep model features a different firmness offering; for instance, the AS3 model is less firm than the AS2 mattress model. The foam used in Amerisleep mattresses is manufactured to have large and open cells, which promote airflow to keep these mattresses cool. Each foam layer is designed this way, and is paired with a mattress cover that is made with a spandex-, polyester-, and Celliant-blended fabric. The materials used in the mattress cover are all conducive to sleepers staying cool and dry. Amerisleep mattresses have little to no smell after being unpackaged. The mattress manufacturing method performed in a chamber draws out chemicals into a filter in the chamber to filter them out. An initial scent is possible but not common, and is not long-lasting if it occurs. These mattresses are CertiPUR-US certified and use plant-based materials instead of other chemicals used to make many memory foam mattresses. This is a unique characteristic to Amerisleep mattresses. The Amerisleep AS3 mattress does not have a lot of bounce because of the dense top layer, and performs fair in this category. While there is no noise with these mattresses, which is conducive to this category, the conforming nature of this mattress makes little bounce possible. Known for its faster-than-average response when compared to other memory foam mattresses, the AS3 model is easy to move around on based on its response time. The mattress makes it easy to shift positions and body weight, but doesn’t allow for much bounce. Amerisleep mattresses feature a four-sided zipped Celliant-blend cover that can be removed for easy cleaning without having to lift the entire mattress. The cover can be spot-treated with soap and warm water, but it is not recommended to be machine washed. If needed, these mattress covers can be dry cleaned in case of extreme stains. Amerisleep does recommend that customers purchase a waterproof mattress protector to help protect the mattress from spills or stains. The memory foam should not be cleaned. Amerisleep mattresses are one-sided, so they don’t require flipping or rotating.